Park Jungmin who will be releasing his first mini album on upcoming 25th November and who will begin his solo debut is expected to attack the many countries starting from Korea and then to Japan, Hongkong, Taiwan, Thailand, China and other asian regions. Park Jungmin has acclaimed that year 2011 will be 'the king-ly year of his asian activities'. Since this is his first solo activity outside SS501, he expresses that he intends to expand his activities beginning from Korea, and then onto other asian regions. It seems with this that Park Jungmin's strategy for his asian activities will tackle that of a 'specially custom-made' type of it. Including Korea, professional people from the industries in Japan and the greater china regions are expected to magnify Park Jungmin's charms in time to come. After he will set forth his foot in the domestic music industry, he will release a Japanese-flavored Japanese solo discography (single). After which, he will also hold fanmeetings in Hongkong, Taiwan, China, Thailand in beginning of next year, and with this, seems like he will expand his activities even larger in greater china regions. 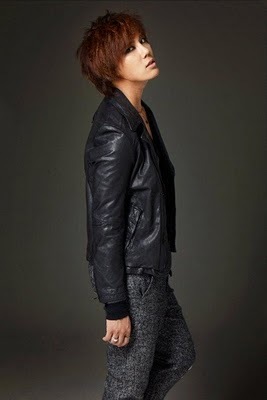 First of all, singer Park Jungmin is expected to collaborate with famous hit song producers from Korea, Japan and China. Just like in his upcoming Korean solo release, hit maker Sinsadong Tiger has had held full control over his album concept, and it will be likewise for in Japan and China. It will be a case whereby famous musicians of the local will either do featurings or compose and produce his songs in those albums. Park Jungmin is also looking forward to activities as an actor in dramas. Of course, Park Jungmin's new song will also be taking on the 'music tie-up' effect as it will be included in drama OSTs. CEO of Park Jungmin's agency CNR Media, Na Kwang-hoon spoke to Money Today Star News about this, "We're planning to produce a drama that fits Park Jungmin straight and sharp", "We're thinking of finding his personalized role. Comical and humorous, one that shows his characteristic. We'll produce something that takes on the style of customization and will portray his image well and exact". CEO Na also stressed about their strategy of localized regional activities including Korea and Japan and other asian regions, "In particular, since we're invading into greater china regions as well, it's very important we build a good relationship with the important partners there", and of course, "We'll fit Park Jungmin with the right and exactly decent clothes so as to solidy his status", as he states. On the other hand, Park Jungmin will be revealing his title track from his first solo album 'Not Alone' on 25th, and will meet up with his domestic fans in such a long while. 'Not Alone' depicts him standing on his own feet without his members, yet many people still stand by him giving support.